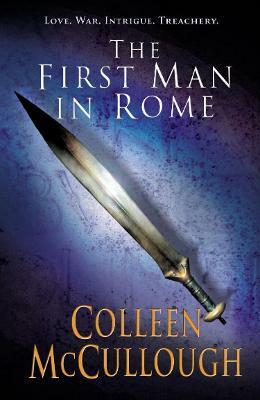 The first book in the epic Masters of Rome series. Rome. 110BC. A city which is home to Gaius Marius, prosperous but lowborn, a proud and disciplined soldier emboldened by his shrewdness and self-made wealth. It is also home to Lucius Cornelius Sulla, a handsome young aristocrat corrupted by powerty, a shameless pleasure seeker. Two men of extraordinary vision, men of ruthless ambition, both blessed and cursed by the special favour of Fortune. men fated to lay the foundations of the most awesome empire ever known, and to play out a mighty struggle for power and glory - for Marius and Sulla share a formidable ambition: to become First Man in Rome. "The author's narrative flows as easily as Father tiber . . . A grandly meaty historical novel . . . rich with gracefully integrated research and thundering to the beat of marching roman legions"